← Major in Computer Science? When you think of Italy, your mind probably goes straight to art, literature and the other liberal arts. 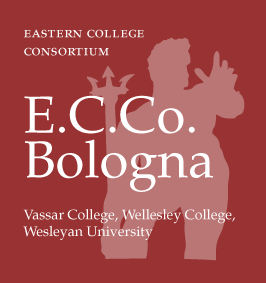 But did you know that Bologna was the birthplace of experimental science? 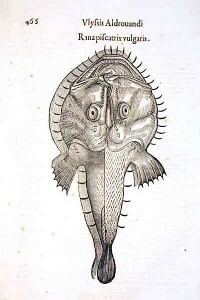 Science has been taught at the university since the sixteenth century. Eminent Bolognese scientists include Renaissance naturalist Ulisse Aldrovandi, who created one of the first botanical gardens in Europe and whose collection of bizarre animal specimen can be seen at the Museo di Palazzo Poggi; biologist and physician Marcello Malpighi, the father of microscopical anatomy; physicist Luigi Galvani, one of the founders of bioelectromagnetics, and physicist Laura Bassi, the first woman in the world to earn a university professorship in a scientific field of studies. The pre-eminence given to direct observation in medical studies is testified by the existence of a seventeenth century anatomical theatre in the early seat of the University, where dissections of corpses were held for medical students. 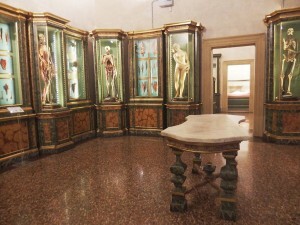 Other fascinating science museums include the Obstetrics Museum, an eighteenth-century collection of some 170 anatomical models in wax and baked clay used for teaching the trade to physicians and midwives; the Museo della Fisica, a collection of instruments used for physics experiments starting around 1600; the Museo di Mineralogia, which holds a 5,000-item collection of meteorites, precious stones and other mineral rocks, and the Museo di Zoologia, boasting a collection of taxidermied animals dating back to the sixteenth century. Today, E.C.Co. offers the course History of Science in Italy from the Late Middle Ages to the Enlightenment. This course traces the history of Western science from the late Middle Ages to the scientific revolution from an Italian perspective. 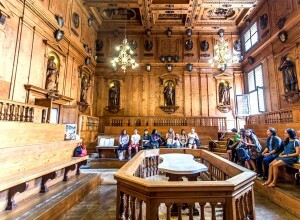 The University of Bologna has 39 world-class science departments and offers hundreds of courses each semester. Popular among E.C.Co. students are Neurobiology, Molecular Physiology, and Cognitive Neuroscience. Working with your advisor back home, the E.C.Co. staff can help you find exciting courses appropriate for your science major as well as brief internships in science labs, which will give you a glimpse into current research at the venerable University of Bologna.